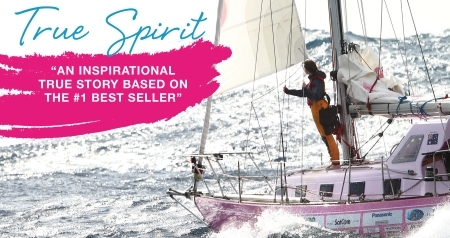 Based on the #1 international best seller, TRUE SPIRIT is the inspiring true story of a sixteen-year-old girl, Jessica Watson, who risks everything, including her life, to accomplish her dream to sail solo, non-stop around the world. It’s a story of love, hope, and survival, as we place the baton of heroism, so often associated with warrior-like men, in the hands of a strong and determined contemporary young girl. Like ‘LIFE OF PI’ and ‘MILLION DOLLAR BABY, TRUE SPIRIT is an emotional journey that raises philosophical questions and unifies us as human beings. The film will go where the book and the documentary did not – into the lives of Jessica’s family and team as we discover that the journey for all of them, was one of trepidation. As the danger in Jessica’s voyage intensifies and stakes are raised, the tension builds. The storms Jessica encountered, will become a compelling cinematic experience. Directed by Sarah Spillane (AROUND THE BLOCK), TRUE SPIRIT will inspire you to believe that big dreams can be achieved by anyone! Production on the feature film is scheduled to commence in 2018.